I’ve recently started getting to know the real me. The old me was an extrovert, loved to party, over done, always pulled together, liberal in every way, and [still] loved; I just didn’t know it yet. Discovering the real me hasn’t been easy. In fact, its been a slow and sometimes painful journey. The discoveries often came after hard lessons that I wish could have been learned in different ways. Over the years there have been many conversations and steps to move into healing. Tear filled conversations with my husband. Regret filled conversations with my friends. Grace filled moments with God. In all three brokenness became healed. 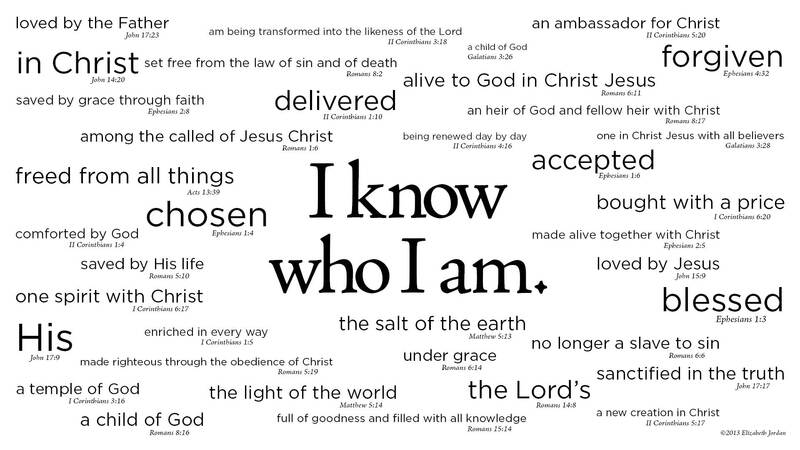 In all three a new understanding of who I am in Christ was revealed. In all three self love was established. It is in these moments that I am reminded that I am fearfully and wonderfully made. It is in these moments that I am reminded that I was chosen and known by our Mighty God before I was even in my mother’s womb. It is in these moments that I am reminded that no matter who I was, I know who I am now. So be encouraged friends! It is not too late! If ‘finding yourself’ leaves you empty and with more questions than answers; I encourage you to turn your gaze to Him and discover who YOU are by understanding just how this amazing, wonderful, majestic God sees you. Lindsay Munoz is married to the love of her life and the mommy to two amazing kids. Her passion is for others to know how deeply loved they are by God. You can visit Lindsay at her blog at http://munozmama.wordpress.com. This is so good. Thank you for that most important reminder that discovering who we are is found only in one place – thru God. Thank you Sharon! It is something I try to remind myself daily! Blessings!